St Abundius and St Irenaeus were probably natives of Rome. During the reign of the Roman Emperor Valerian (253-260), Christians were relentlessly persecuted. Initially, clergy were told to give sacrifice to Roman Gods or face “banishment” (exile). 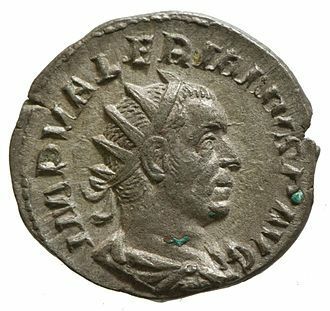 The following year Valerian ordered the execution of all Christian leaders and instructed others to offer sacrifice to Roman Gods. Leading Christians that were executed included, Cyprian -Bishop of Carthage, Pope Sixtus II -Bishop of Rome and seven deacons including, St Lawrence of Rome. St Abundis, a devout Christian, and St Irenaeus who worked as a sewer-keeper, were reported to Roman authorities for seeking out the bodies of Christian martyrs and giving them respectful burials. Their punishment: they were both thrown into a public sewer where they either drowned or suffocated. St Abundius and St Irenaeus were buried in the Cemetery of Saint Cyriaca and a Basilica built in their honour near San Lorenzo Fuori le Mura. Their Feast Day is the 26th of August. Pray that hatred and anger will hold no place in our daily living.